June, 5, World Environment Day is celebrating over 100 countries; it is a call to action and awareness for our planet and whose theme in 2015 is "Seven billion dreams. One Planet. Consume with care". 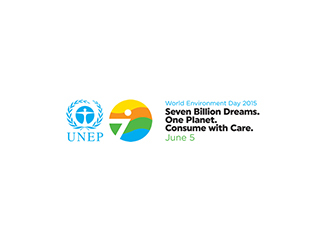 The World Environment Day is a call to action and awareness for the environment promoted by the United Nations. This is generating a great platform linking individual actions in a collective force to create positive exponential impact on the planet. The welfare of humanity, the environment and sustainability of the economy ultimately depends on the responsible management of natural resources of the planet. However, people still consume far more natural resources than the planet can provide. The conscious and discerning consumption is essential if we talk about fashion. This industry is one of the greatest impact on the environment. Recycling and reuse help cushion the impact, reducing the consumption of raw materials for the manufacture of new clothes. For example, making a 250 gram shirt cotton requires 7,000 liters of water and 500 grams of chemicals. 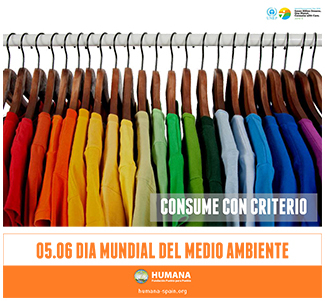 Prolong the life of the clothing and promote a closed cycle, based on the principles of circular economy is essential, because more sustainable garment and cause less damage to the environment is one that is already made.